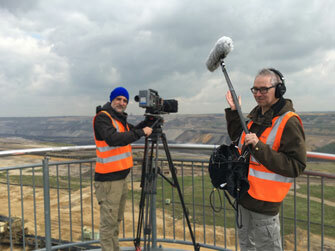 Kintopp Recording: Eick Hoemann, production sound mixer: Location sound, equipment in Frankfurt/M-Germany. Welcome! I am focussed on hi-quality mobile sound for movies, tv-series, documentaries, commercials, and music. By using my own up-to-date equipment, for the very biggest projects, and the smaller ones, too. 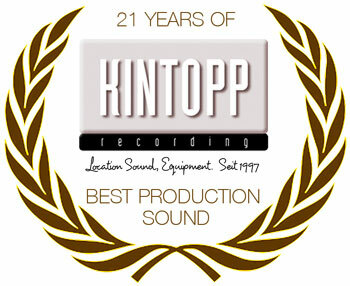 So is Kintopp Recording, in Frankfurt/M., Germany, since 1997. Long time experienced in working with anglo-american and international film crews, I am familiar with your needs. I like team working, arriving together the best for the film project. 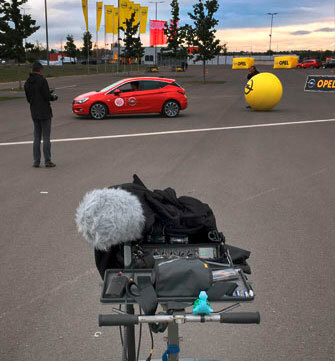 It is experience, professional creativity, quick improvisation and set routine; staying in tune with the film departments including the pre- and post production. If needed I can help you organizing and producing the audio section of your film project. My infra-structure includes a project studio for pre-mixing, sound design and sound restoration. If needed I can offer a network of excellent sound assistants, boomers, and film experts for your project.